Pssst... you, over there. Need a little escape from the banality of everyday life? Let's take a trip to Paris! We're going to stop in at Laudrée and check out the Macaroon counter. 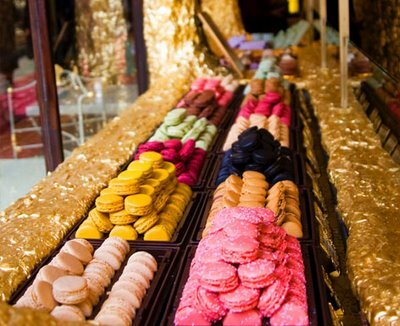 If I've lost you, and you're asking "What the heck is a Macaroon?" Start here. 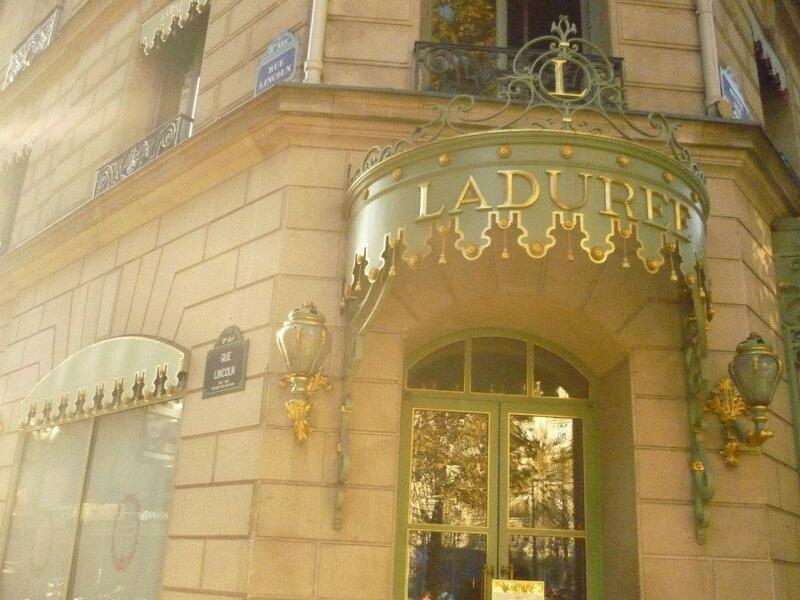 ﻿This history of the elegant and chic House of Ladurée begins in 1862 when Louis Ernest Ladurée, a miller from France’s southwest, created a bakery at 16 rue Royale in Paris. At the time, this neighborhood was just begining to become the ultimate location in Paris for luxury that is known for today. 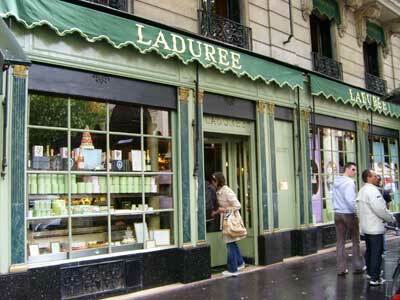 It was Ernest Ladurée’s wife, Jeanne Souchard, who had the idea of mixing styles: the Parisian café and pastry shop. Her idea gave birth to one of the first tea salons in town. 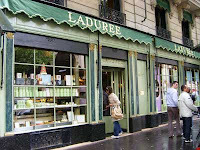 The “salon de thé” had a definite advantage over the cafés: they permitted ladies to gather in freedom. Jeanne Souchard succeeded in combining the turn-of-the-century trend to modernism. 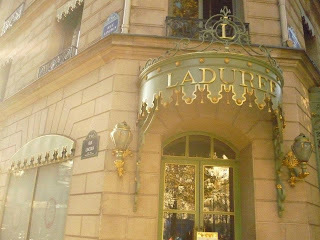 Been there so delicious, chocolate and salty caramel were my favs even after getting crushed in my Longchamp bag - super French of me, I know.